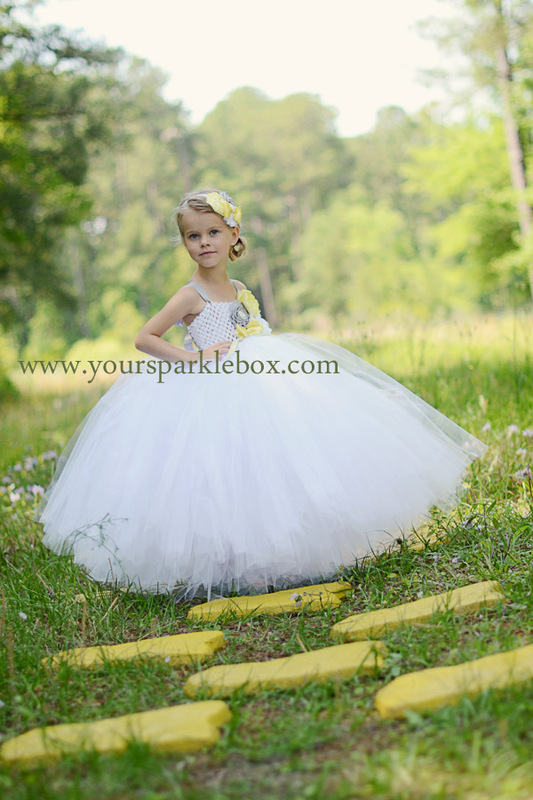 A perfectly feminine infusion of pale yellow and silver, this white, modern style flower girl dress is sure to impress. It would be my pleasure to design a one of a kind gown for your little princess. As every dress is custom made by the designer, you can be confident to leave the details in my hands and be sure your flower girls will wow all of your guests in their stunning, one of a kind gowns. Each dress is handmade by me, in my home studio, so each is unique. No two dresses are exactly the same and yours may vary slightly based on availability of rhinestone brooches, flowers, etc. All materials are of the highest quality in every dress that leaves my studio. Creation times are generally 4-6 weeks and may be extended to 8-10 weeks during holiday and peak wedding season. Please order early and refer to our current shipping times on the left hand menu to ensure your spot! All items are created in a pet free, smoke free home.